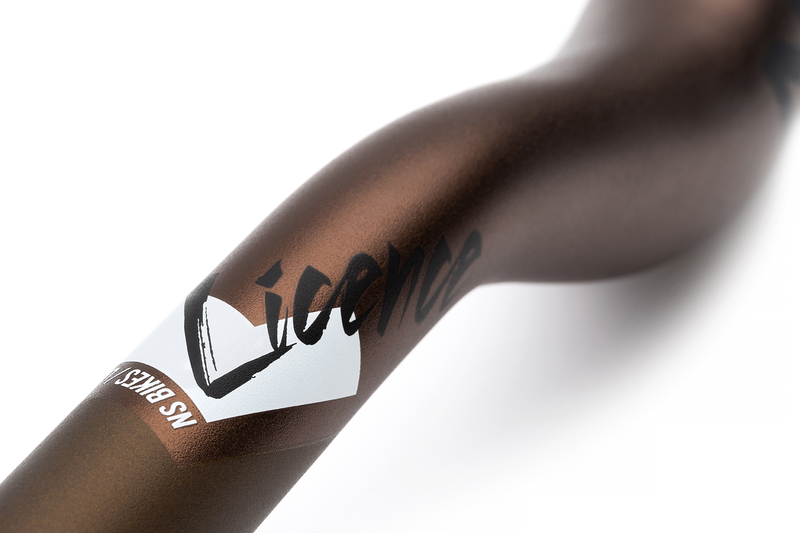 The Licence is a new handlebar model that replaces the Evidence. 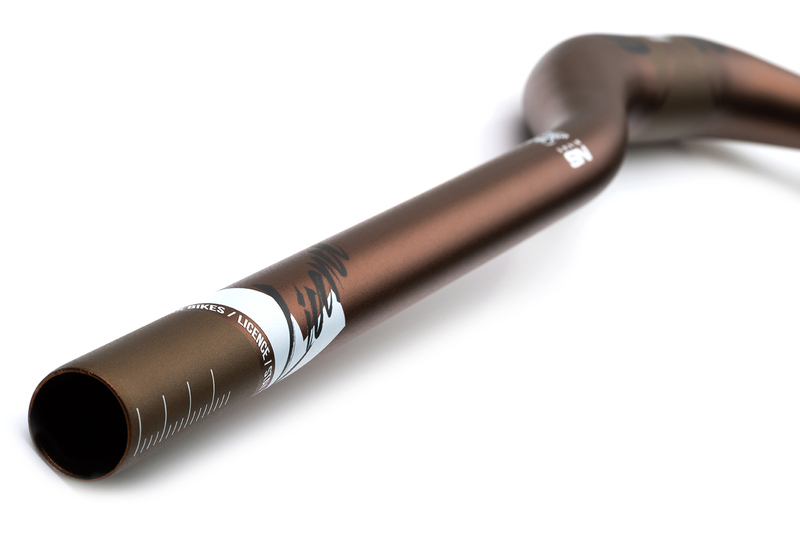 It comes in two bar-bore sizes (31.8 and 35) and has a whopping 820mm width. 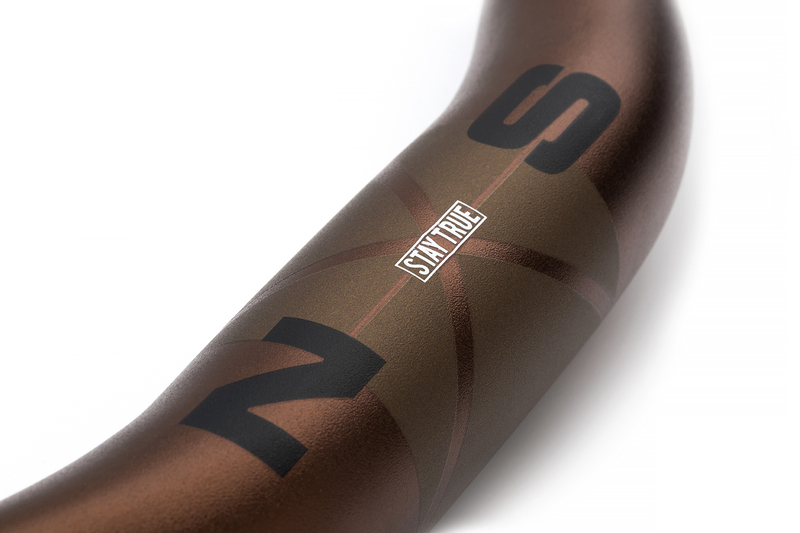 Manufactured from AL7050-T6 which has very high fatigue resistance. We made custom tooling to build in super long tapers and smooth butting to avoid stress points - in fact you can see the difference in the shape at a first glance. The Licence is also really comfortable with lots of back sweep.